María Tomás-Keegan helps women turn their lives right side up again when a major life event has rocked their personal or professional world. María knows first-hand how hard it can be to manage work, family obligations and take care of herself while her personal world crumbled around her. Her usual resiliency was tested. She also understands how many things can change when life happens. It could be a divorce, loss, caregiving, or career upheaval (to name just a few of those life-changing times). Through her 30+ year corporate career in marketing, investor relations and public relations, working for small family-owned companies and international corporations, she has faced her share of life transitions. It was a juggling act. On one hand, it was her busy career. On the other, she dealt with divorce, caring for her parents, relocating, changing careers, remarriage, a layoff and forced retirement. She learned about resilience, compassion (especially for herself) and what powered her through. After being laid-off and retiring from the corporate world, María reinvented herself. She wanted to share with other women what she learned about transitions and thriving. When life happens to even the strongest among us, there is light at the end of the tunnel, and that light comes from within. And, when we find that light it leads us to a remarkable new beginning. It is from that point we begin to thrive. She believes that it’s every woman’s birthright to honor her values and follow her dreams. When she does that successfully, she can create a world where everyone around her benefits. Each woman’s values, vision, and passion are the foundation for that world. When women are empowered to use their voice and design a strong foundation, everyone wins. María honors her own core values in everything she does. Integrity, Trust, Family First, Harmony, and Choice are the values she checks in with each time she has a decision to make. It’s an easy “yes” when the decision is in alignment with those values. As a Certified Career and Life Coach for Women, María created a program called 5 Petals of Power. It is the foundation for her workshops and private career and personal coaching sessions. 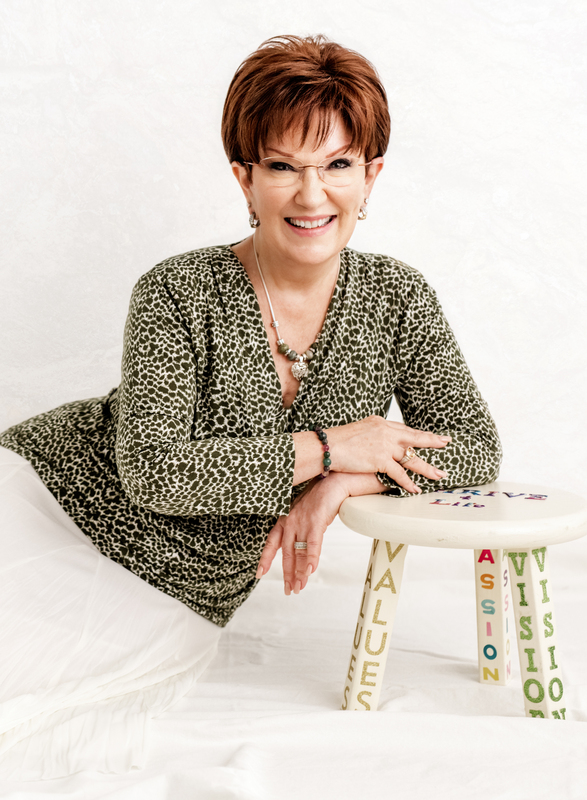 She is a transition expert, coach, speaker, workshop facilitator, trainer, and best-selling author. Upside Down to Right Side Up: Turning Transition into Triumph is available on Kindle and in print, and was a Hot New Release and Best Seller on Amazon. The Companion Journal offers a place to capture the ideas, insights, and imaginings gained from the book. To ensure her readers get maximum value from her book, she included the 5 Petals of Power workshop in Part Three. When you use the companion journal to record your responses to each activity, it becomes a treasured resource. Each time life turns you upside down, the book and journal will help you turn it right side up again, with more ease and grace. When she’s not empowering women to regain their resiliency and become their best, you can find María in her sanctuary-home with HeartMate Jim, and her fur-babies. She’s likely to be cooking, crocheting, entertaining friends or designing floral arrangements. Her favorite thing to do outside the home is taking extended road-trips, exploring the country, with Jim and the dogs. María Tomás-Keegan believes collaboration and cooperation trump competition every day of the week, and she loves to collaborate and connect with like-minded women.